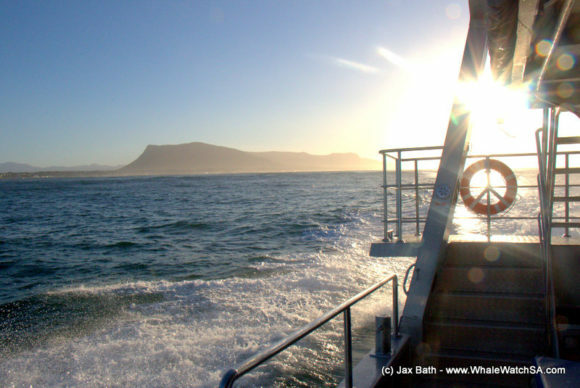 We had a spectacular day on the ocean, racking up 7 different animal species and countless birds, this made for one of the most incredible and diverse days in our history. The highlights of today's tours. 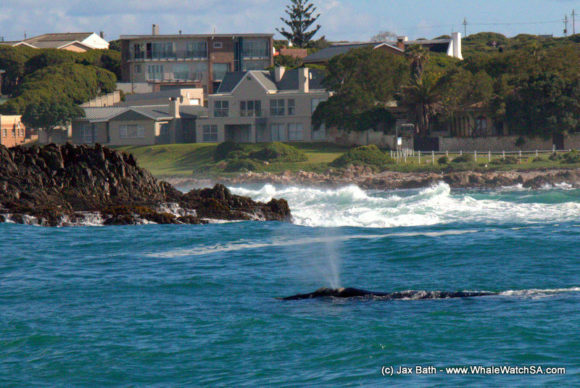 Trip 1: A Humpback Whale lob tailing meters away from us. 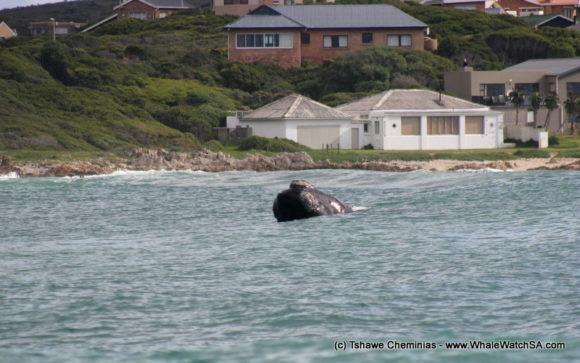 Trip 2: Southern Right Whales less than 5 minutes into the tour. 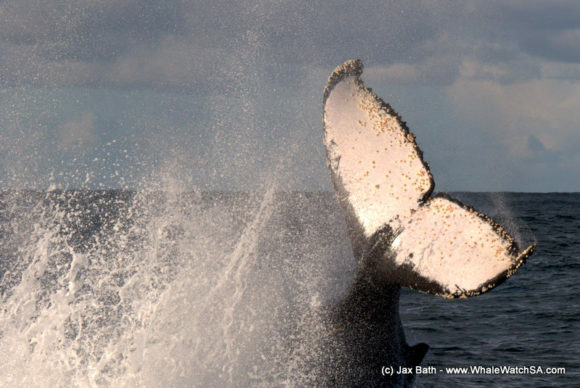 Trip 3: All 3 baleen whales; The Southern Right, Brydes and Humpback Whale in one tour. Trip 4: All 3 classes of fish; a Hag fish (Jawless), a Sunfish (The largest of all the bony fish), a Great White Shark and a Short Tailed Sting Ray (Cartilaginous fish). 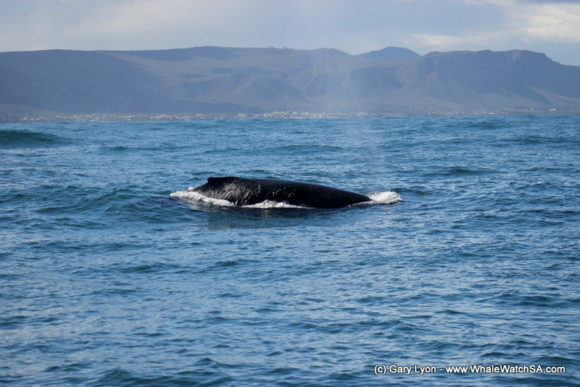 A White Chinned Petrel hanging around the Humpback Whales who were lob tailing. Sea Gulls often follow whales in the hopes of picking up some skin that has fallen off, but it was interesting to watch a Petrel do the same. A Hag Fish surfacing at Slashfin – These primitive fish are not coming up to the surface all too often. What our clients had to say. 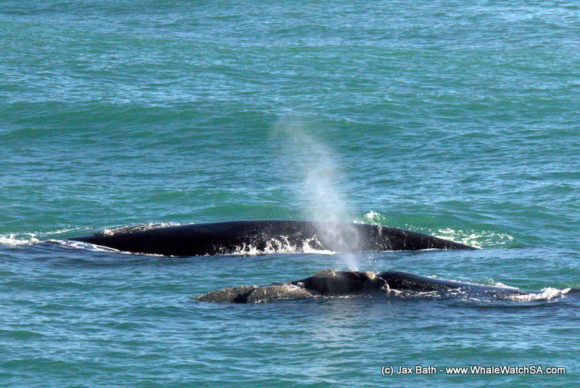 Great time while whale watching, staff were really helpful and super informative! Excellent trip. 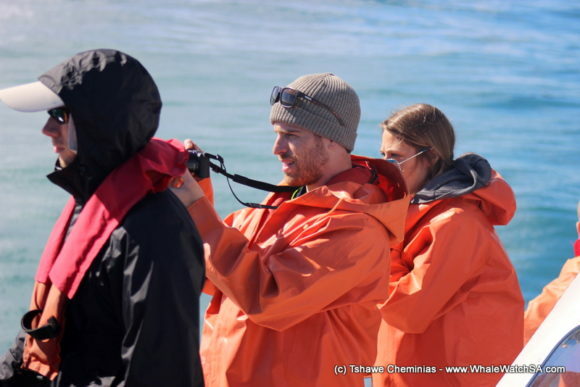 I was amazed by the passionate and extremely hospitable crew. Well done guys. I was super impressed. 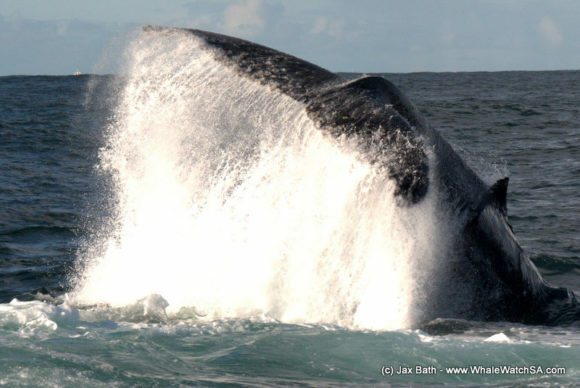 Great trip, 3 different types of whales, guides were making sure everyone got to see them, no complaints at all. The best images from all 4 tours. 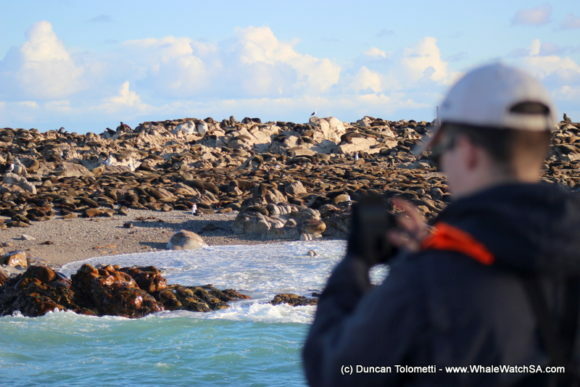 Some quality time with our Cape Fur Seals. 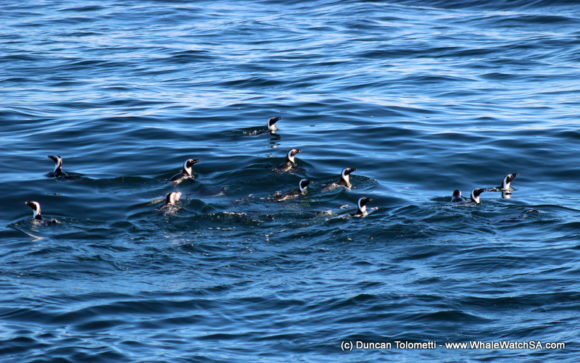 A raft of African Penguins we found on the last tour of the day. An early morning cruise out on Dream Catcher. 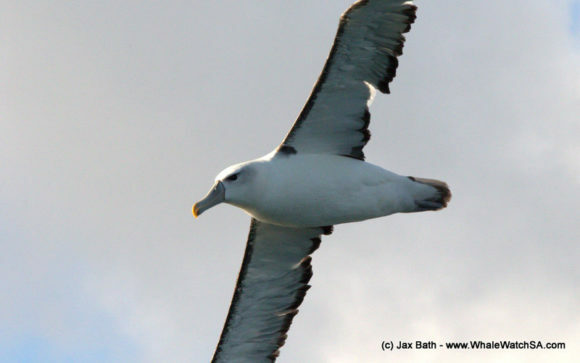 A Shy Albatross coming in for a closer look. Today, we had dozens of these spectacular seabirds around. A Humpback Whale giving us a mighty display. 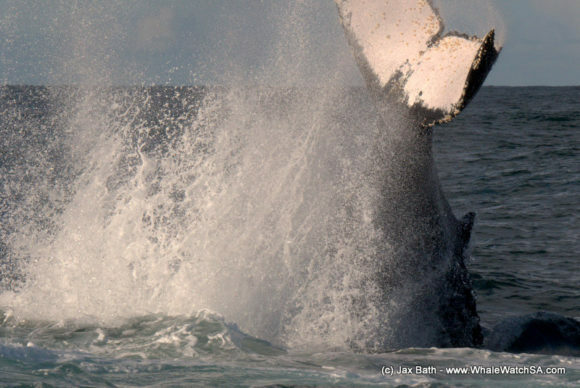 More from the Lob tailing Humpback. And, the last one before they took a deep dive. 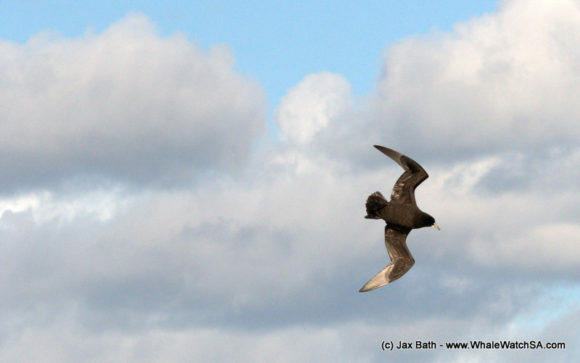 A White Chinned Petrel who appeared to be looking for some whale skin to snack on after the lob tailing. 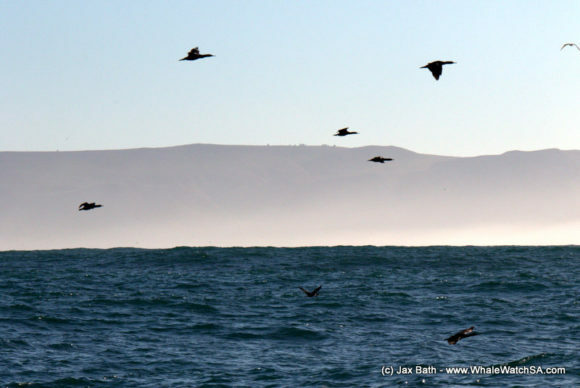 The ocean was alive with birds today, including the ever photogenic Cape Cormorants. 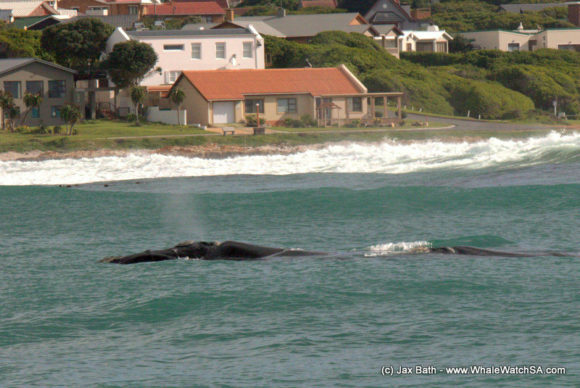 Two Southern Right Whales we found hanging about in front of the harbour. 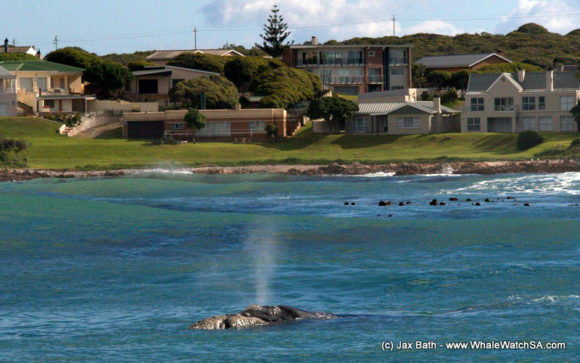 A Southern Right Whale and Black Sophie. 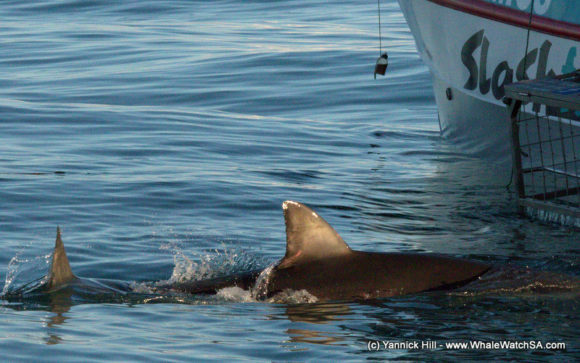 It’s incredible to see just how shallow these gentle giants are willing to go. Slowly cruising along past town. 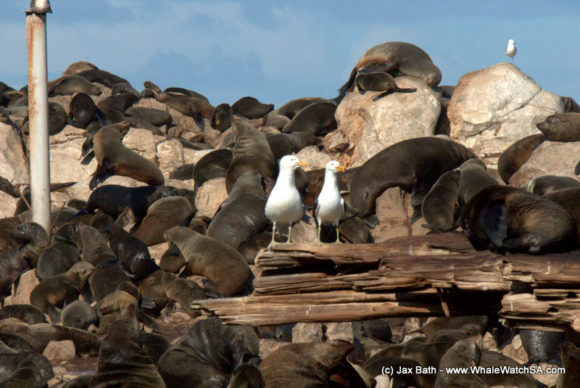 Some Kelp Gulls on Geyser Rock. 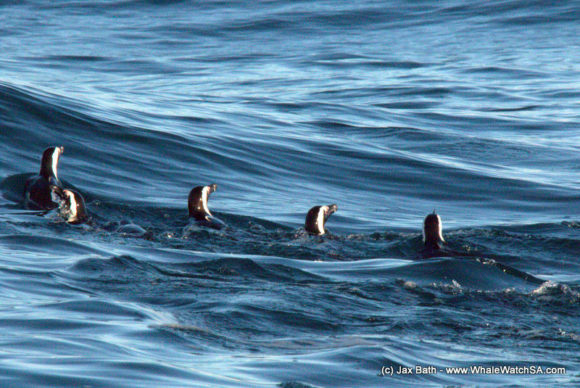 African Penguins in the swell. 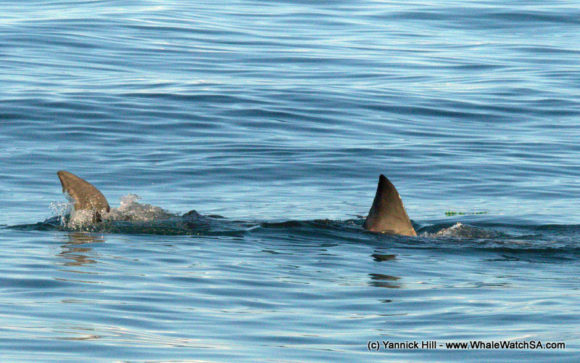 An iconic apex predator, the Great White Shark. A spy hop from a Southern Right.